a path that will save you money without sacrificing expertise or performance. Unlike the “other guys”, we do not work on a sliding scale of Self-Directed IRA Fees. We offer one low set annual administration fee. 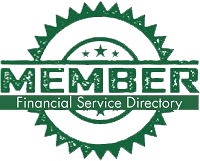 As your assets grow with American IRA your annual Self-Directed IRA Fees remain the same. The other guys base their fees on the number of assets you own or the value of your account, so over the life of your Self-Directed IRA, your annual fees will continue to increase year after year. What does this mean for you? When you work with us, you’ll have more money to put towards the important things in your life, like retirement. We know that there are already enough places your money has to go, from your state and local government, to the IRS. Don’t let your Self-Directed IRA administrator take more from you than they should. With American IRA, no matter how your assets grow over the life of your investment, you will pay one low set annual fee, putting you in total control of your financial future. Choosing American IRA means you’re choosing expertise, value and performance. Visit our testimonials page to see what our clients are saying about us and then give us a call to receive a complimentary, no obligation, free consultation about what we can do for your specific situation.